A fan asked me about a broken link to a interview with Richard A. Knaak held by me in 2005. The page no longer existed in the FTP, but searching around I recovered it from a backup. It brings back old memories. It was a public Q&A on IRC I organized. I invited a few fellow fansites webmasters to collaborate with questions: Gamona, WoW-Esp, WCradio, Judgehype, NGA.cn — and it was translated in several languages by each fansite after I emailed them the transcript. The page no longer exists, so I posted it here. We welcome Richard A. Knaak , New York Times best-selling writer of D&D titles, Dragonlance, Dragonrealm, Legend of Huma among others; and writer of Warcraft: Day of the Dragon. Always happy to be here! I’ve been enjoying the both. Great fun to work on. Can you tell us what War of the Ancients: Demon Soul focuses on in the Warcraft Lore? Obviously, the war is in full flame. Malfurion has to come to grips with his training, while the dragons have begun to create an artifact to use against the demons, called the Dragon Soul. However, all is not well within their own ranks. Meanwhile, the demons have a few plots of their own. How will the timeslip of Rhonin and Krasus the dragon affect the events of Demon Soul, and what consequences may their actions in the past create? Obviously, the repercussions of the night elves’ magic, but also, the triangle between Malfurion, his brother, and Tyrande . I will focus more on the timeslip and its cause; and it will make changes, whether small or great, I cannot say. But there will be some. The first chapter will hint at some of that in the third book. Meanwhile, Krasus must decide whether to save his kind or follow history. Krasus aka Korialstrasz. It is a big decision to make. We noticed in World of Warcraft, that there is an Elf named Garek, an agent working for Krasus. The Quest is named Tremors of the Earth ( southeast of Badlands). Can we safely say that Krasus survives the odysey of this timetravel? I loved how you implemented the story of the dragons in the book War of the Ancients: Well of Eternity. It let us see at the way Dragons think and behave. I think the dragons are integral to the history and life of the world. They were the first guardians. They could not leave it alone completely. What can we expect from the dragons during the events of War of the Ancients: Demon soul, and how will they react before the betrayal of Deathwing? We can see how some of the events of the future unfold, and how the betrayal shakes them to their foundations . . . and creates in part, Korialstrasz also becoming what HE is. We also learn the truth about Neltharion’s madness. A question many would like answered, what new heroes from Warcraft will be displayed in this book Demon Soul? Some fans want to see the Naga heroes before they became Naga. Others want to see Feathermooon. I remember you mentioned in our previous interview by February 18, an appearance of a female heroe in future books of War of the Ancients Trilogy. You’ll see a character you know well, yes. Unfortunately, even in a trilogy, not every aspect can be revealed. But we try. And we will make mistakes, although we try not to. You will see more of the demi-gods by the end of the trilogy. Since I had a hand in the creation of a few with Chris Metzen. Very much true. Chris wants everything matching up as best as can be expected. He knows how much the fans love this world , and we go over every chapter, outline, etc. I credit him much for the success of the books and games. He wants to please the fans, believe me. Even the manga will match up! How much time do Chris Metzen and you spend polishing the book ideas? Does he check with you over the phone every now and then to guide you on the storyline? Wow . . . thats very involving and committed. It is like developing a game. Chris wants everything matching up. I believe in that dedication. And it shows in the quality of Blizzard’s stuff . By the way, for those who don’t get the free book today, there is still a way to get one. I’ll say at the end. Are there other people besides you both working on the project? Which site? I could try to get a translation later during the week. It’s an SF site, I’ll e-mail it. Remind me later. Could you give us a brief summary of the events of Day of the Dragons and how it connects with War of the Ancients: Demon Soul? — This in benefit of fans that haven’t read Warcraft: Day of the Dragon. Nekros if I remember well. However, Krasus has noted also the appearance of Deathwing, thought dead. So he sends Rhonin the mage and Vereesa, a High Elf, to investigate. There they discover the truth of Deathwing’s manipulations. Not only of the orcs and dragons’s manipulation, but the Alliance’s as well. Was it Deathwing who made Nekros the spellcaster to find the Demon Soul? So we can assume that since the Demon Soul had a curse made by the Dragon Aspects so he would never be able to command the Demon Soul, Deathwing lured the orcs into getting control over the Demon Soul as a diversion. The other dragons managed to alter the artifact so that Deathwing won’t control the Demon Soul. But that might change, now in Warcraft: Demon Soul. Exactly . . . Use a puppet . . . That’s Deathwing! In my opinion, the true aim of Deathwing was to get possession of Alexstrasza’s red dragonflight eggs and used the orcs, the alliance and everyone else as puppets as you say, a diversion to reach this goal. The Second War was Deathwing’s fault as a diversion to take control over the red dragonflight’s eggs. I heard Deathwing had no dragonflight after wars happened in the past, am I correct? I believe that is so. Although there might have been a few left. But his flight is dying through his work. All that matters most is his obsession. So, he needs new followers. And he would probably go through them, too. That kinda makes sense. In Warcraft III, in the cavern of the Druids of the Claw, Malfurion found Black Dragons. He called them spawns of Deathwing. Also we got to Kill Searinox, a black dragon. Yeah, the black dragons tend to get slain doing his work. Not much left for his ‘perfect’ world, eh? But, then, is it really ‘his’ world he wants to build? — The author said cryptically. But in World of Warcraft, I was so surprised to see many Black dragons. And even black dragonspanws. So I was curious as to if this are unknown survivors of the holocaust where the black dragonflight was wiped; or if somehow World of Warcraft is the product of the events of War of the Ancients: Well of Eternity and the second part Demon Soul. If so then there are 2 parallel futures/2 parallel presents. There will still be black dragons at the end of the trilogy. The losses are through attrition. There are some changes in the future, and those will have to unfold for all the answers to be revealed. It’s great! Barnes and Noble suggests November as the release. The book will be available on November. Should be just shy of November. I usually get them just before release. That’s the way it tends to work in publishing. I will have my copy pre-ordered of course. Can’t wait to see how our favorite characters develop in this hellish timeframe of the Burning Legion invasion. I was curious about Well of Eternity book. Deathwing talked to Krasus telepathically and Krasus was pretty scared, because somehow Deathwing knew that Krasus represents a danger to his plans. He even casted a spell that makes Krasus get disoriented and babblish whenever he tries to talk about Deathwing. Looked like Curse of Tongues. It was in great part. I was very excited and even paranoid when that happened. I felt like I was there, your writting technique is similar to those in Comic books where you immerse yourself into the drama and live it. So I was there like if I were Krasus, and suddenly Deathwing looks at Krasus with that evil eye . . . and talks telepathically to him with this deep voice like Darth Vader: I know you . . . and WON”T LET YOU RUIN MY PLANS !!! I’m a visual writer. I grew up on comics. And the scene with Deathwing was fun, because it showed how his insanity had overwhelmed him. It was a pivotal scene . . . because you know that the die is cast for Neltharion; and that things have gone disastrously for Krasus’s intentions. This is pivotal for Demon Soul book. How will Krasus be able to break the enchantment set upon him by Deathwing? Deathwing knew that somehow Krasus came from the future and that it meant trouble for his plans against the Dragon Aspects. So Im not convinced that Krasus can break this spell. Actually, Deathwing did not know; but he sensed some of Krasus’s intentions . . . and madly guessed the rest. What made Deathwing cast this curse of tongues spell on Krasus? What was his fear? I bet! As soon as he tried to warn to the Dragon Aspects the betrayal of Deathwing, after the enchantment made by Deathwing, Krasus wasn’t able to talk anything coherent. The Dragon Aspects were like . . . ehhh? He is talking nonsense. Babbling. Who is this little creature claiming to be a dragon of knowledge? It was comical and ominious! 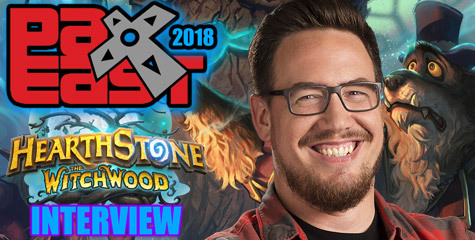 Only Alexstrasza shows a sensation that this old Krasus and the young Krasus are the same. Yet Alexstrasza doesnt want to alert the other dragons of Old Krasus’s true identity, why? To do that might unwind the future, and make the invasion look like a picnic. The repurcussions would be horrendous. Assuming they believed her even, there is only so much. I was worried about the fact that an option is to kill Krasus and Rhonin to avoid the change of time itself . . . But then everything of the past events seems to change; because they didn’t know of a third unwanted visitor that was pulled into the past with them. So basically the harm was done. And Nozdormu was not there to verify things, If it would save the future. Harm was done; but how much more harm would be done. That is the question. Of course, Brox didn’t know that. I think that sorta gave Rhonin the excuse to intervene during the war against the Burning Legion. Rhonin was like, “this guy is here? He already messed the time, what gives?” And Rhonin started shooting spells like a hero at every demon in sight. After a long time pulling back his offensive with fear to change the past. Rhonin is in some ways a little orcish. When it comes to getting the task done. That’s what got him in trouble in the past wth the Wizards of Delaran. Rhonin is impulsive, and he lives the moment. Krasus made use of that in the past, but now he has to try to reign it in. Of course, there is a point when even Krasus has his limits. What aspects of the story will we see in your book Demon Soul, that we may wish to know in advance? Compared with day of the dragon events? (Thinks to self — He won’t spill the beans! nods!) Do we see other races? Like the people of Cenarius? I recall he kept mentioning meetings with his people. By the end of the trilogy, you will see other races. Hmm I think this is the demigod that taught the Druids of the Claw? But this story is foremost about the Dragons , Time, and Malfurion, Illidan, and Tyrande’s decisions. And the mistakes of the Night Elves. Not to mention we’ll see the creation of the Satyrs. I always wanted to know how the Satyrs came to be, I look forward to find out. I do know that the transformation of the High Elves of Azshara came with the Burning Legion’s demonic magics turning into Satyrs . . . or so i think. Yep, and you’ll never guess who gets to be the first one. Ohh that is a nice tease! and I ain’t going to tell. ummm I would like to let some of the fans make questions. Richard, how do you like working with Warcraft lore in comparison to previous stuff you have worked with? Do we get to see the introduction of the drawves in the next book? Gingery, Nope, not in this book. As before keep up the great work, I bought Warcraft: Day of the Dragon just this morning and will start reading it later. Thanks for buying Day of the Dragon, Narzul. I already did, and plan to read it soon. I think as World of Warcraft players, we need to read this Warcraft books to understand why are the events in the quests happening so that we have a better understanding of whats going on in the drama. We are roleplaying the events of the books and the warcraft lore. War of the Ancients trilogy let us see, in depth, what happened during the first invasion of the Burning Legion and we get to know the Dragons more closely. They are very human in a sense. Arrogant. Yet . . . they care for the world, and protect it from evil. I did what Blizzard requested of me and they okayed all I did. The dragons are arrogant, because they were the first and were created by powerful beings. That hubris is why they don’t always see the small details that grow into monstrous problems. Vader asked: How will the books impact the way people think and look at the whole Warcraft series? I think that this will show how the series are important to understanding where the game has been and where it is going. It gives a depth that cannot be displayed in the game, just as the game gives details and life to the books. They are two parts of the same whole. Both, the mmorpg and the books storylines are connected in short. Difficult to say. I’d have to reference the materials. Blizzard is, of course, overseeing each page . . . The first should be out in February, or March. With the second about four months later, I believe. Can you tell us more about Warcraft Manga: The Sunwell Trilogy storyline. I read there is a Dragon escaping his chasers by shapeshifting into human form. What impulsed him to take this mission? By the way, Blue dragonflight is led by Malygos the Dragon Aspect of magic, correct? What he and they do not know, however, is that there are others following. This sounds like one of those bad days where everyone is chasing you to death. Adrenaline rush! Lot of new characters in the story. That’s good in a sense, expands the universe. How did Chris Metzen approach you about this new book, and how does it connect with War of the Ancients: Demon Soul? I think the events of War of the Ancients have more to do with this Warcraft manga storyline that we think. The blue dragonflight was wiped too originally, and Warcraft Manga talks about many blue dragons. Even World of Warcraft has countless blue dragons. Ah, you noticed ! nuff said! But not so easily rectified. Yes, next. Some of the fans made a question. Are Maeiv and Lady Vash in the book Demon Soul? or maybe the third book, The Sundering? — Maiev was the jailer of Ilidan. Not in the second book. Depending on the perspective of the third, possibly. It gets a little crowded with all the characters already. Want to do them justice. We shall see. Not the second book, though. Yea I have heard many fans concerned about Maiev, Lady Vash and Feathermoon in this time-frame during the first invasion of the Burning Legion. Fans want to read about them. That’s too soon in the story. All right. I’ll say it. Actually, Shandris . . . She plays a part. How’s that? Let’s just hope Chris changes his mind and gives you a whisper about those characters: Maiev and Lady Vash. And the leader of the high elves exiled, that reached Lordaeron after the Sundering taking the vials of waters from the Well of Eternity with them– which later serve to create the Sunwells. Another guy asks if you know of plans of writting more warcraft books in the future. I remember last time, you said you had plans for a Diablo book featuring the Necromancer. How’s the plans ? Read Kingdom of Shadow. Zayl will be returning, with Humbart. in MOON OF THE SPIDER. To be written after War of the Ancients [book three]: THE SUNDERING. It will be a revealing book about necromancers and the problems of the Balance. Just as Karybdus . . . if you dare. heh! Have you played Diablo games? the writing does come first . . . but I would play the Necromancer, yes. By the way, as to Gnomes and Trolls in Warcraft , while the former seems to the side, I do have a couple of trolls among the Dragon hunters in the Warcraft Manga, Adds diversity. Do we have more background lore about the Trolls’s history in Warcraft Manga? Not really. That is Blizzard’s choice. I bow to them in such matters. Is there really? Did anyone ever tell them that they worship a demon? One of the Green Dragons, Eranikus gets corrupted in the dream, and it seems in the storyline that The Emerald dream is being corrupted from within. There are many good storylines arising in the quests. I think fans would love you to write in the future more about the Gnomes and the Trolls’s background history. If they fit into what we’re doing, I’m game. Here is the Suggestions Forums — make sure you tell Blizzard to get Richard A. Knaak to write the Gnomes, Trolls and Tauren history in his books. I feel great about exploring the entire history of Warcraft. I look forward to writing more. Richard are you gonna play WoW? Well, guys the Q&A is over. Closing comments? Will there be a translation into french and german ? Back in February, Wow.gamona.de was kind to host a German version of our last interview with Richard A. Knaak. We hope this time they do so again for the German fans. Germany has a special place in Richard’s heart for his origins. We will send the transcript to Judgehype.com for them to host the French version. NGAcn.com to host the chinese version. And Wow-Esp.com to host the Spanish version for Spain and 20 Latino American countries that love Knaak books. Other Fan Sites willing to translate, host and spread the interview in their country are welcome to contact me by private message over the forums. 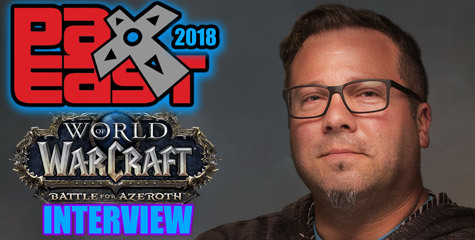 WoW Radio is a projected partnered, in part, by Blizzplanet.com. Last night was our unexpected inaugural broadcast. We hope you’ll join us tonight for more music and talk radio. If you’re interested, all the information you need is at www.wcradio.com. To chat with us, visit irc.wyldryde.org #wowradio or use the chat applet on our website. Thanks for coming out for Blizzplanet’s interview, and I hope you’ll support WoW Radio in its endeavor. The Cosmos UI has generously lent its support through an in game schedule window that will be available in a November Cosmos release. 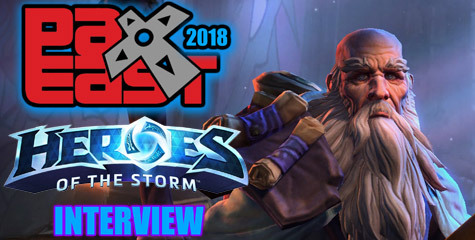 I would like to take this moment to thank Richard, and BlizPlanet for chosing to use Wizardz IRC Network as their place to host this interview session. As WizardzNet staff we really appreciate this. We will also make sure that fan sites tell every fan that you can get this books bundled with the sale of World of Warcraft pre-orders via Online Stores and store locations.